Curious-minded little ones can become intrepid Afri-Kids by taking a cinematic adventure across the wild and wonderful African continent. The hilarious exploits of a menagerie of African animals, including rhinos, elephants and giraffes take centre stage in the delightful Jungle Beats cartoons. In Mwansa the Great, an eightyear-old Zambian boy embarks upon a journey to prove his greatness, with unexpected consequences. The Legend of Ngong Hills is based on Maasai folktale and tells the adventures of a traditional Maasai village including warriors, ogres and young maidens. Finally, in The Money Tree a boy in Sierra Leone learns important lessons while trying to grow an orchard of money. With films for both the young and young-at-heart, AfriKids promises to expand horizons in the most enchanting of ways. 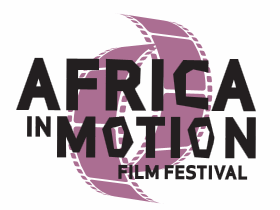 A unique cinematic opportunity for all fashion, film and craft enthusiasts out there to celebrate and enjoy the innovative world of fashion and beauty from the African continent. Join us on a glamourous, surreal and heartaching journey, stepping into Ghanaian hair salons, experiencing stunning designs against Kenya’s dramatic landscapes, as well as meeting creative professionals from Senegal and fashionistas from South Africa! Attendees will also be given the opportunity to experience something new with our pop-up African braiding and weaving salon, get their photo taken against traditional African cloths and potentially go home with an exciting new wardrobe. Bring along some clothes you no longer want, and pick up some new ones at our very own swap shop! African cities are some of the fastest growing in the world, hubs of urban innovation, cultural expressions and vast engines of change. From the bustling streets of Lagos, to the ancient city walls in Mali, to new and reimagined notions of African cities, this package will offer new perspectives of African cityscapes.